Great news on the political front in Texas. The shark fin bill, #HB1579 flew through the Senate with a 27 – 4 vote, according to a Texas newspaper. The bill was sponsored by Texas Democrat Eddie Lucio III and strongly supported by Senator Eddie Lucio, his father. 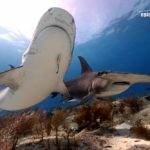 This new legislation makes anything relating to the sale and purchase of shark fins or any products that come from shark fins a criminal offense. 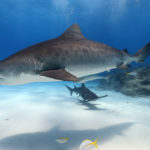 Representative Lucio told The Humane Society of the United States that “sharks are the top predators in our water and serve a vital purpose within that ecosystem. 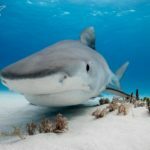 Shark finning is an inhumane act banned on the Federal level, but we have to make sure Texas is not encouraging that illegal act by restricting what can be done with those fins.” The conservation organization, Oceana, estimates that half of the shark fin trade passing through the United States goes through Texas. The final step in passing this legislation is the signature of the bill by Texas Governor Greg Abbot. 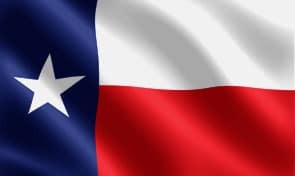 If signed, Texas will join California, Oregon, Hawaii, Delaware, Washington, Illinois, Massachusetts and New York, where the trade of shark fins is already outlawed. Most shark fins are destined for Asia, where they are the highly valued main ingredient in shark fin soup. Here, they also have a variety of other uses, such as in traditional medicines. To meet the high demand for shark fins, the cruel practice of shark finning has evolved where sharks are pulled from the ocean on baited hooks, stripped of the fins while still alive, and thrown back into the ocean where, unable to swim, they will drown. This allows the shark finning boats to reserve their cargo space for only the valuable fins. To read the full bill, #HB1579, visit the Texas Legislature Online.